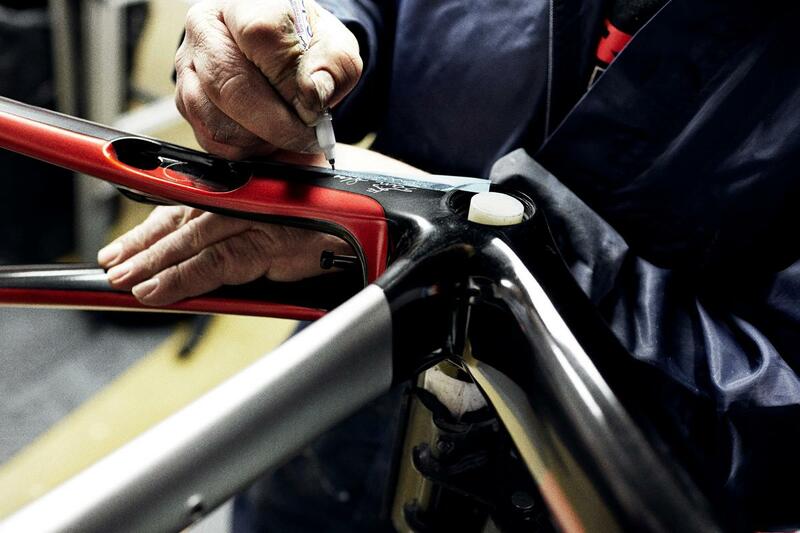 Trek's Project One programme enables you to choose and customise the specification and finish of your new Trek bike. For many years there were a limited range of options if you wanted to build a new bike to your own specification. Off-the-peg combinations have always provided the best value for money, simply because the purchasing power of the bike manufacturers allow them to offer groupsets and components at unbeatable prices. Building your own bike meant buying a frameset and then individually sorting out the cockpit, wheels, groupset and other components. 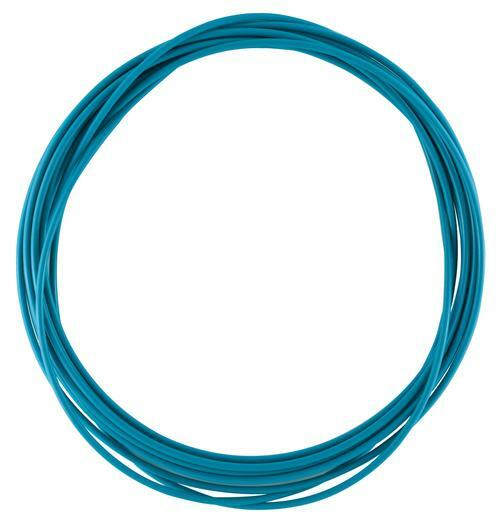 Supremely flexible but not the quickest, easiest or most economical option. Project One provides a unique "best of both worlds" approach to building your custom bike. 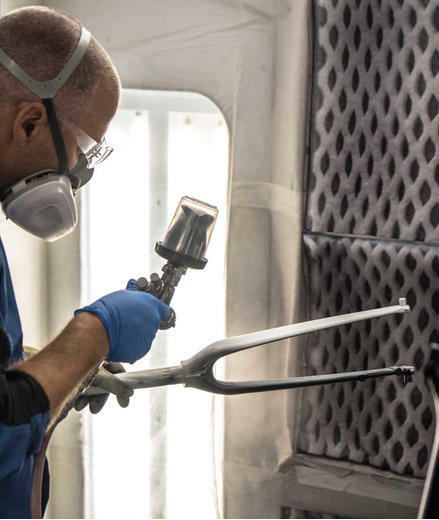 It enables you to benefit from Trek's huge R&D budget, economies of scale and world-class paint shop whilst still getting a unique, individual bike made to the spec of your choice. Which bikes are available in Project One? See a selection of our Project One builds in the Bespoke Build Gallery, complete with detailed photos and specifications. For 2018/2019 Trek have introduced a refreshed lineup of component options, and a new colour palette - including the fantastic ICON series paint for the new Madone SLR. See a complete overview of the ICON series on the Bespoke blog. It's not just a case of choosing a frame colour and a groupset - the Project One programme lets you specify the finishing kit on your build, right down to the colour of bar tape and even the brake/gear cables! 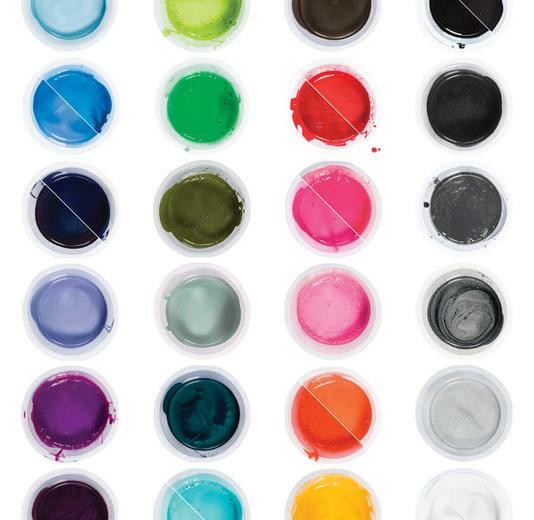 You choose the components and colours you want - we ensure that the bike fits perfectly. 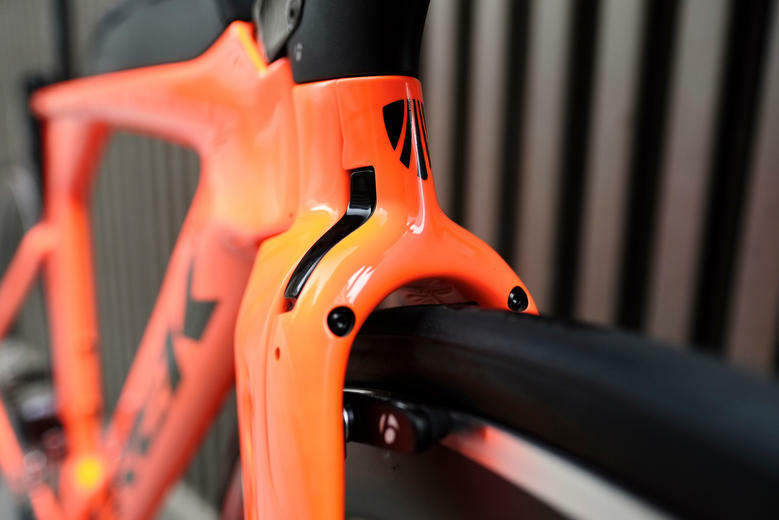 By starting every sale with a full bike fit we ensure that the bars, stem, seatpost, even saddle are the correct dimensions to keep you comfortable and extract maximum performance and enjoyment from your new bike. No need to worry whether your custom build will fit - everything will work together perfectly and fit like a glove. 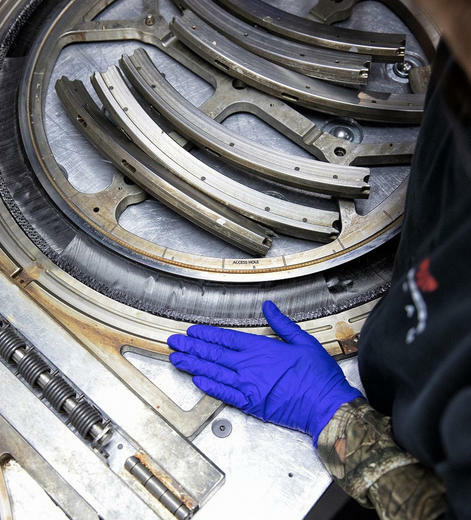 These days there's really no technical reason not to go for "own brand" components - whether it's wheels, contact points or even tyres the "manufacturer's own" versions have closed the gap with independent brands. But we all have our brand loyalties, so what happens if Trek/Bontrager don't offer the combo you need? Well, whether you want an ENVE cockpit, or Mavic wheels, or literally any other combination you can imagine, we can help. 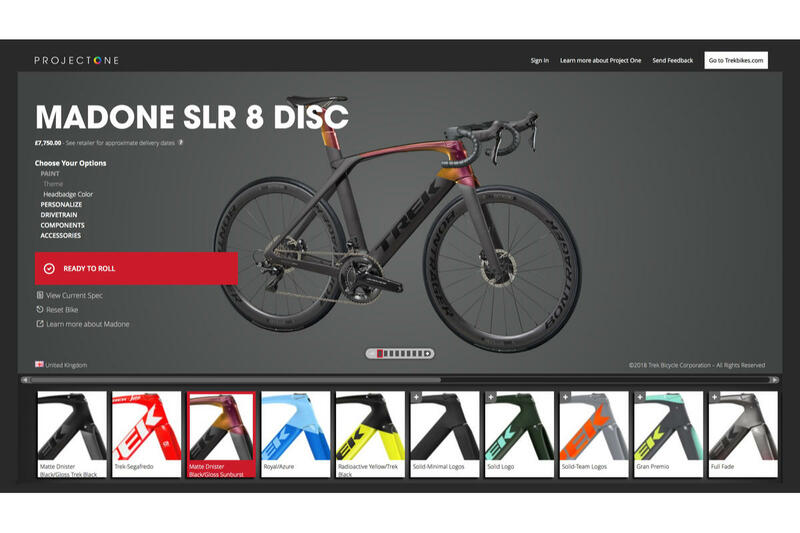 The Speed Concept, Émonda SLR, Domane SLR and Madone SLR are all available as "frameset only" via Project One. So you can choose the colour and customisation you want and we'll build it into your dream bike with your personal choice of components. Naturally we'll make sure everything works perfectly together, and you're still benefitting from our Bike Fitting expertise to ensure the perfect fit. A brilliant way to get a truly unique bike without the worry or hassle of scrabbling around for individual components. It gives you the option to save as many different configurations as you like, perfect for playing around with colour schemes and specifications (and with no commitment to buy). You can also print out your build, either for your own reference or to bring into store with you, and either email us or start the online order process when you are ready to buy. Or better still, come and see us in-store (we have a range of bikes on display for inspiration, and can talk you through the options available in as much or as little detail as you require).